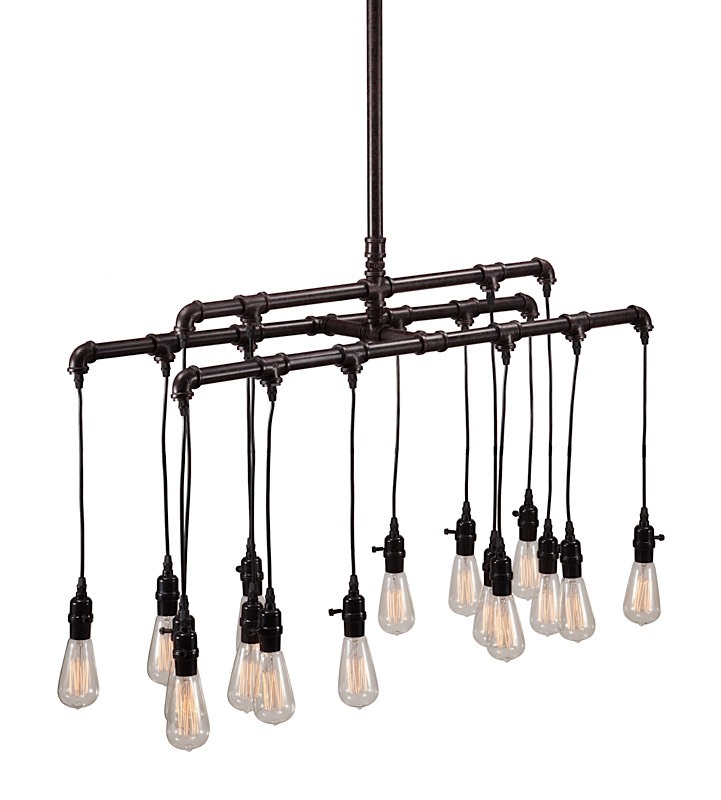 Echoing the light fixtures in your favorite hip coffee shop, the Maldonite Ceiling Lamp is an industrial nod to the chandelier. 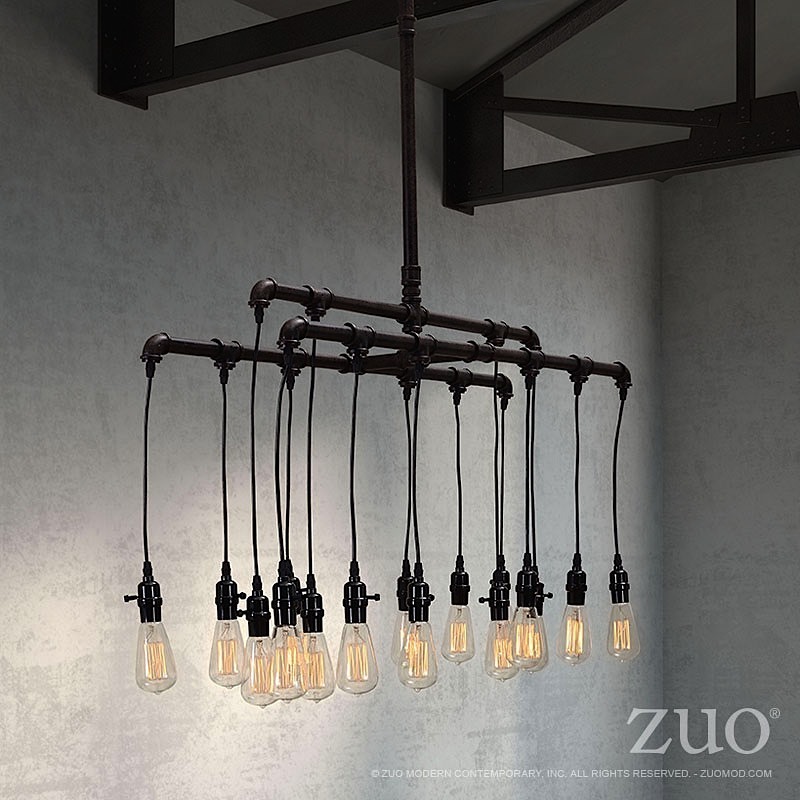 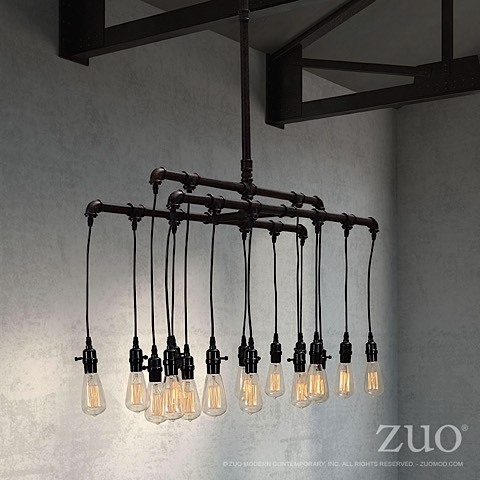 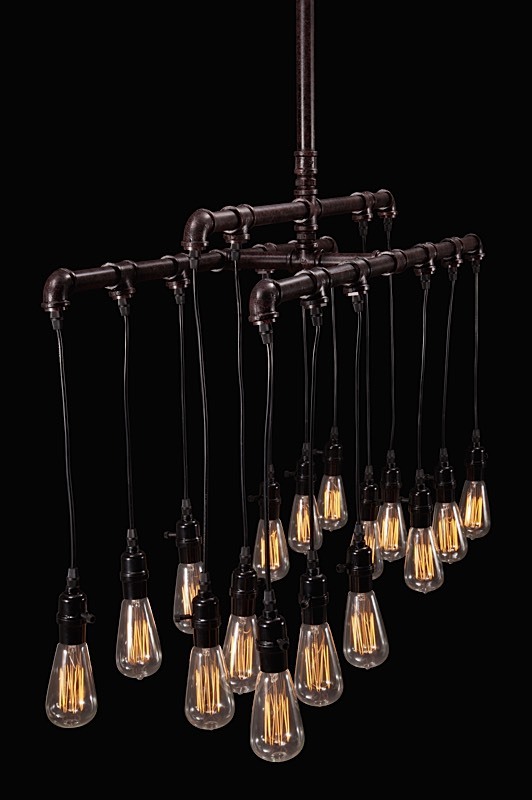 Three layers of sleek bulbs hang from rust black pipes. 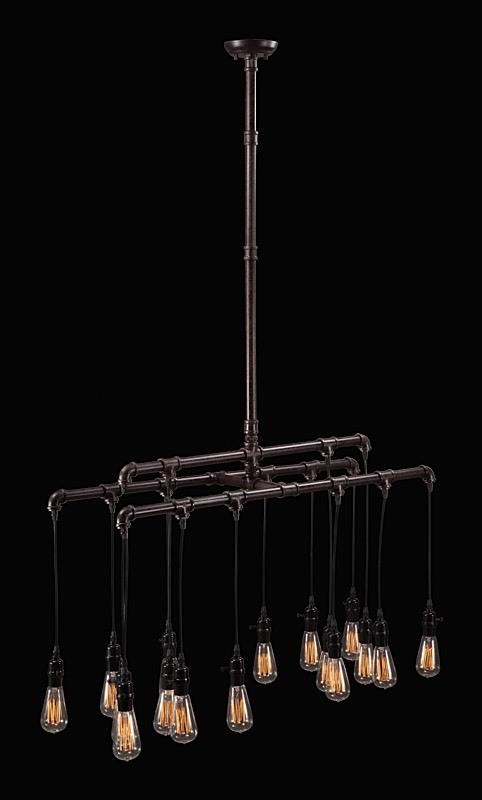 Gleaming yellow filaments cast a warm light. 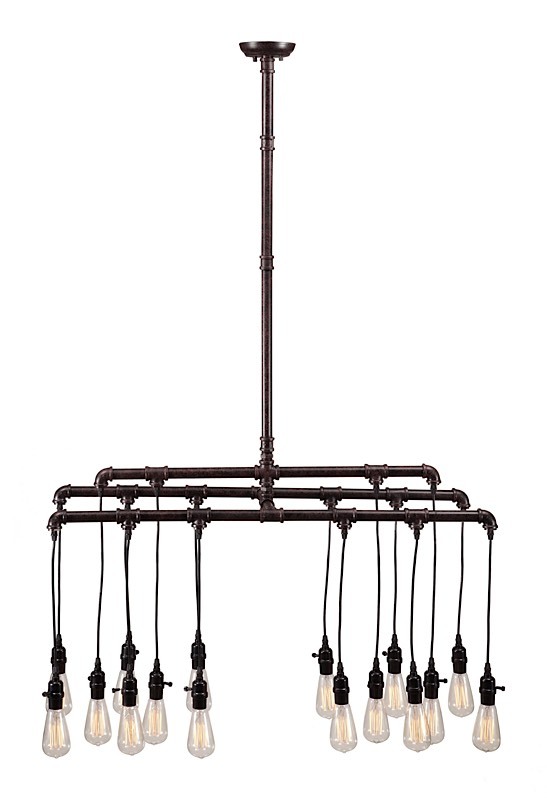 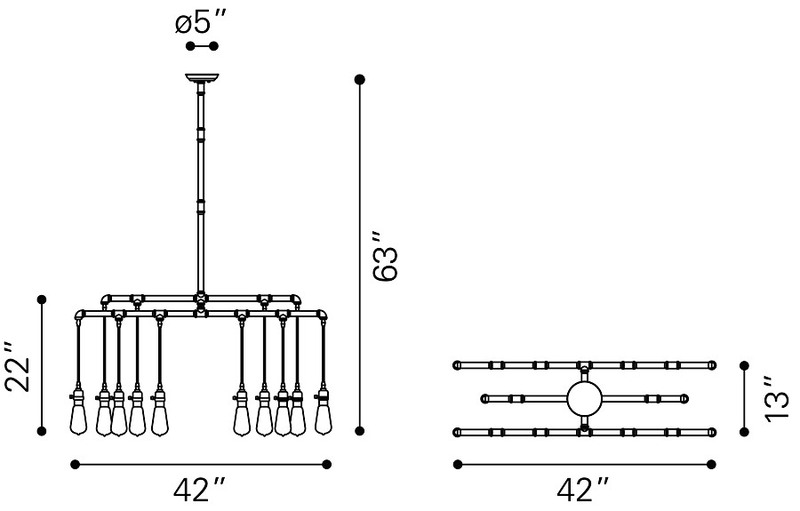 Maldonite Ceiling Lamp requires sixteen (16) 25 watt max Type S E26 bulbs which are included with the lamp.